Not the victory but the action; Not the goal but the game; In the deed the glory. Dave Rogers, left, and I near Vienna, Ill., after completing 26 miles of the Tunnel Hill 100. Karl Meltzer is a liar. Harsh words, I know, but I was feeling harsh at mile 76. On Saturday, Nov. 14, at 8 a.m., I set off on my first 100-mile ultrarun, the Tunnel Hill 100 trail run in Vienna, Ill. And for most of Saturday, I agreed with Meltzer. But in middle of the night, when Saturday turned to Sunday, I knew 100 miles was damn far. I had selected the Tunnel Hill race, I told my friends, because it was the easiest 100-miler I could find — as if any ultra of this distance could be “easy.” The race was about 5 hours south of our home in Keokuk, Iowa, in the tiny town of Vienna (pronounced “VY-enna”), about 25 miles north of Paducah, Ky. It takes place on a converted rail-to-trail, which means the grade is gentle or even flat. I couldn’t have met my goal without the help of my wife, Barb, who ran 50 miles in the process, and my daughter, Laura, who hiked 24 miles and crewed for us. As we ran out of the town’s city park in the chilly air, I made a concerted effort to dampen my pace. I am definitely not a fast runner, but I was trying to run even slower than normal. I knew I couldn’t afford to expend too much energy in the first hours of the race. I had outlined a plan for the race that called for me to complete it in 27 1/2 hours, but truth be told, I had no idea what it would take to finish or how long it would actually take. The race has a 30-hour cutoff, which equates to an average of 18 minutes a mile. I took my best guess at my endurance and pace, and figured I’d start at a 13-minute pace and tail off to a 20-minute pace by the end. I knew the race would take its toll, and I wanted to be realistic. The start/finish line was located in the middle of the course. You leave Vienna and head south for about 13 miles, hit the turnaround at the Barkhausen Wetlands Center and head back to Vienna. From there, you head north about 12 miles, reach a small turnaround and return to Vienna from the north. That gets you 50 miles, so you repeat the whole thing to record 100 miles. I really did feel good through those first 26 miles. Instead of my planned 13-minute pace, I was running closer to 12 minutes, which is still slower than my normal pace and part of the reason I think it felt so relaxed. I had planned on running the first portion by myself, but I picked up a fellow runner, David Rogers, about 5-8 miles into the run, and talking with Dave made the time pass so much easier. Dave and I had a lot in common: tackling our first 100s, roughly the same age, empty nesters, Midwest guys (he’s from St. Louis), etc. He could have gone at a faster pace, but he was trying to be controlled, too. I refilled my bottles and picked up Barb at the start-finish line at mile 26. When I ran into the start/finish area at mile 26, I hooked up with my wife, Barb, and daughter, Laura. Barb had agreed to pace me for 50 miles, which would help her reach that distance milestone and aid in my effort. She was going to run the middle 50 miles. Our daughter, Laura, was crewing for us, and at some point, she planned to run with me, too. The next 24 miles would prove more difficult. In the first miles, I really couldn’t detect any change in the grade of the course. But just a few miles north of Vienna, it became obvious that there was a small but constant climb. The race info said it’s a 2 percent grade. That doesn’t sound like much, but 8 or 9 miles of even a small climb becomes tiring. About halfway into the climb, my left groin started to ache. I feared that it was going to cramp, but thankfully it never progressed beyond a nagging twinge. We saw Laura at mile 36, refilled some bottles, made the turnaround in another couple miles and headed back toward Vienna. By the time we reached there at about 7:30 p.m., it had been dark for three hours. Sunset was at 4:45 p.m., and we wouldn’t see the sun again until 6:30 a.m. — nearly 14 hours of darkness. If a relatively flat, straight, tree-lined, crushed limestone path presents a certain degree of monotony, you should trudge along that same path in the dark. A few miles past what was the 50-mile mark for me and 24 for Barb, she began to struggle. Her stomach was queasy and her legs sluggish. After a mile or two, she insisted I go on ahead. I hesitated to leave her behind, but she continued to insist, and I relented. I soon met up with Dave again, and we’d stick together until the 76-mile mark at Vienna, when once again we’d get separated as we both refilled our hydration and nutrition and tended to our niggling injuries. Barb can still manage a smile after completing her first 50-miler! Laura had talked about going either 24 miles with me (the last out and back of the course) or waiting until the last 10 miles. We decided that if I could get to mile 90, there’s no way I wouldn’t finish, and so she took off with me out of Vienna — mile 76 or so at about 3 a.m.
Those last 24 miles turned from a slow jog to a moderate hike. I thought I was OK as I hit mile 76 at Vienna, but as I left that last major aid station, I just couldn’t will my legs to run. Thankfully, Laura helped me pass the time. One of my big concerns was how I would even stay awake for the 24+ hours I knew it would take to complete the race. At one point, I asked Laura to talk to me — I needed something to keep my mind active and alert. She later said she wasn’t sure what she’d talk about, but that didn’t last long. I knew I could count on Lu for non-stop conversation! We’ve been doing that since we drove across Montana, South Dakota and Nebraska to attend Husker football games when she was 6 years old. My muscles got stiff and tight, and my feet developed deep blisters. But in the end, finishing the race was simply a matter of continuous forward motion. I didn’t sprint across the finish line, but neither did I crawl. And I beat my goal time. While I’d had doubts about finishing the race before I had started, once I’d hit the course and stuck with my pace, nutrition and hydration plans, everything really fell into place. Beforehand, I’d figured it would take me 27 1/2 hours to finish. Ultimately, I crossed in 26 hours, 48 minutes. So in the end, maybe Karl Meltzer was right. My first 100-mile ultra really wasn’t that far. Crossing the finish line in 26:48:04. It was a great feeling to be done and reach a major goal. Cresting the 500-foot climb into Dry Fork Aid Station, I know I’ll beat the time cut-off at mile 35 this year. In all my athletic adventures, there’s seldom been a time when I didn’t think I could complete the challenge. Finish a triathlon? Just survive the swim. Climb a mountain? Follow the guy ahead and don’t look down. Run a marathon? It’s just a matter of how much it will hurt the last 6 miles. But a mountain ultra? 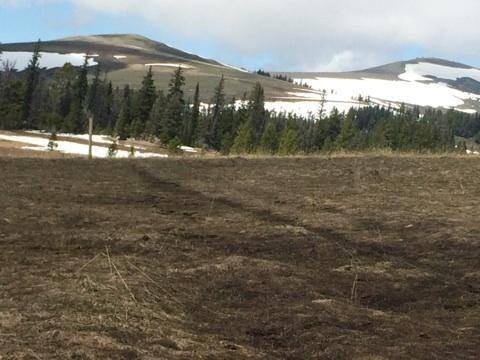 The distance, the vertical, the altitude, the rough trails? I’ll admit: I didn’t know if I had it in me. And after failing to meet a time cut-off at mile 35 last year during my first mountain ultra, I really had my doubts. That’s what made finishing the Bighorn 52-mile trail run this year that much sweeter. This was a goal that took much effort to achieve. When I first attempted the Bighorn in 2014, I didn’t even know what I didn’t know. Fifty miles of rocky, rutted, muddy single-track trail? You won’t find that in Iowa. 8,200 feet of climb and 13,200 feet of descent? I’d have to run my training hill more than 100 times to approximate that vertical. I could read about the conditions and the challenges, but the only way to truly comprehend them was to experience them first-hand. So that first year was a huge learning experience. When I missed that time cut-off, I felt I’d done all I could do on that day. As I climbed the hill into the Dry Fork Aid Station, my quads and hamstrings were shot, and my feet felt like they’d been through a meat-grinder. For the next several days, I could barely walk or climb stairs. My wife, Barb, pours me some chicken noodle soup at the Foot Bridge Aid Station, mile 18 in the race. But I learned a ton in that first attempt. Running on single-track mountain trails is nothing like running on the roads. Long stretches of uphill and downhill require extra hill training beyond what I’d ever considered. Time-on-your-feet in training will pay huge dividends when you hit hours 10-11-12-13-14 during a race. Well, the Bighorn 52 was certainly a stretch. But I can definitively say that reaching a stretch goal makes it that much more satisfying. In the video I posted a few days ago on the race, I said that it takes a village to make an ultrarunner. That’s sure true for me. I generally run four times a week: twice during the week, twice on the weekend. And on most weekend long runs and on many other runs, my wife logs miles on the trails, too. I wouldn’t have made it without the support of my daughter, Laura, and wife, Barb. Most of our long runs are at Geode State Park, which is about 40 miles from home. Having a companion on the drive is much appreciated. We generally head different directions on the trails, but we’ll pass each other on the trail or we’ll meet up for soup at the car. And those brief meetings help pass the time, too. My wife and daughter, Laura, crewed for me at the Bighorns this year. It’s a big help to have an extra hand at the drop bag stations. My transitions in and out of the drop bag locations were easier and faster with their help this year. Ultras present a huge physical challenge, but the mental challenge is just as great. And it’s a huge boost to see a friendly, familiar face along the way. And I had family and friends waiting for me at the finish line. I was elated to meet my two-year goal, but sharing the accomplishment with the people you love brought the experience to a whole other level. I can’t say how much it meant to me to have my family and friends there to support me. It’s hard to say enough good things about the Bighorn races and that part of the country. The 52-miler starts on top of the Bighorn Mountains, just off Highway 14A, which is along the route to Yellowstone National Park. The race headquarters are in Sheridan, Wyo., a neat town of about 17,000. And the race finishes at the base of the mountains at Dayton, Wyo., pop. 700 or so. The 52-miler starts at about 8,800 feet, tops out at a little over 9,000 and concludes at 4,000 feet. It follows mostly single-track trails in the backcountry, and the views of the mountains, valleys, rivers and wildflowers are spectacular. This year is the 23rd for the races, which are run the third weekend in June and now include distances of 18, 32, 52 and 100 miles. The organizers do a very good job, and there’s plenty of good schwag. The 100-mile race starts in the valley at Dayton, runs to the top of the mountain and finishes back in Dayton. The finishers of that race have some serious trail cred. Both years, we’ve stayed at the Wyoming High Country Lodge on top of the mountain. If you are running the 50-miler, the lodge is only two miles from the start line. This year, a number of 100-milers had crew members staying there. The lodge is scenic and convenient, your food is included with the room (the lodge is miles from any town) and the managers and staff are great. If you have any desire to tackle a mountain ultra, I’d recommend this one. It has a distance for anyone, and with enough training and preparation, the races are achievable. Most of the races fill up early, so don’t wait too long to register. Crew members can see their runners approach the Dry Fork Aid Station (mile 35 of the 50-miler) from miles away. I could talk your leg off about running, but I try not to bore my friends by talking solely about the hobby that I love. I realize that not everyone is as interested in intervals and vertical and fartleks and long runs and the like. So it was a pleasure to get to share without restraint my thoughts on ultras and running on the most recent episode of the RunIowa podcast. Most of my training time is spent listening to podcasts, which are pre-recorded shows that you can listen to on your computer or download to your phone or MP3 player. I listen to a lot of running podcasts, a lot from NPR and a lot from ESPN. This link details some of my favorites. As the name implies, the RunIowa podcast focuses on things around our state. The show is hosted by Rob Lindquist and David Kaeding, a pair of teachers from Council Bluffs. They’ll talk about gadgets, training, races and more. I stumbled across the very first episode that was released in late 2014, and it’s been at the top of my playlist ever since. I was honored to appear in the episode released yesterday (July 2, 2015). And I certainly enjoyed sharing my adventures in ultrarunning with fellow running enthusiasts. You can listen to the podcast by clicking on the photo at the top of the post or here’s a link to the podcast on iTunes. RunIowa can also be found on Twitter at @RunIowa or here on Facebook. Let me know what you think of the podcast by commenting below, and I’m sure Rob and Dave would love to have you as subscribers to the podcast. Running the trail in the 2014 Bighorn 52-mile trail run. 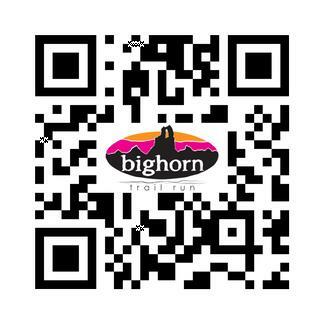 On Saturday, I’ll take another run (pun intended) at completing the Bighorn 52-mile trail race near Sheridan, Wyo. Last year, I missed a time cut-off at mile 34.5, bringing my day to a premature finish. And that failure has stuck in my craw for 52 weeks. Sometimes you set a goal so high that, over time, you come to realize your reach will always exceed your grasp. While the Bighorn 52 is certainly a worthy stretch goal, I still believe it’s within reach. Of course one fellow I passed last year may have had the same delusion when he noted he was on his sixth try at finishing without success yet. Last year was my first mountain ultra, and I learned so much during the attempt that I am cautiously optimistic this year. I had no idea how rugged the trail itself would be. I couldn’t comprehend the toll my quads would take from 18 miles of downhill to start the race. As a flatlander from Iowa, it was hard to visualize 8,300 feet of climb and 13,250 feet of descent. Having never faced a time cut-off before, I didn’t have a good pacing clock ticking away in my head. Over the past 12 months, I’ve adjusted my training to compensate for my shortcomings. While I barely logged any training miles on trails last year, this year I’ve run more than 600 miles on the trail. I’ve run more hill repeats, concentrating on the downhills as well as the uphills. I’ve taken two trips out West in the past couple months to train at elevation and on mountainous trails. I’ve changed my footwear and my nutrition. In the end, my efforts may or may not be enough. But I feel good about the attempt. A Goal: Enjoy the experience. I’ll be running in the mountains of Wyoming, taking part in a physically demanding but rewarding challenge. Whether I finish it all or not, I don’t want to lose sight of the intrinsic rewards of the effort itself or the extrinsic beauty around me. B Goal: Finish all 52 miles in the time allotted. C Goal: Make it further than the Dry Fork Aid Station (mile 34.5) in the time allotted. D Goal: Don’t kill yourself. The race starts at 6 am Mountain time on Saturday. If you can, think some good thoughts for me that day. Here’s a link to the race’s website. This link will take you to a video I did on last year’s race, while this link will take you to my written race recap. Here we go: Wyoming or bust. By Thursday night, Barb and I will have trekked the 1,000-miles to Dayton, Wyo., and bright and early Saturday morning, my niece, Melissa Davidson, and I will hit the trail on the Bighorn Mountain 50-mile trail run. After a few setbacks in training after the first of the year, I was finally able to ramp up my mileage in May, logging 173 miles. This is the highest monthly mileage I’ve ever run. Since I limit myself to four runs a week, that means my average run was 10.3 miles. By the end of the month, I had completed long runs of 20, 25 and 30 miles, and those were all done one day after doing medium-long runs of 8-10 miles. When mapping out my training, I had hoped for a 35-miler, but time got away from me. Most recently, I’ve been on a three-week taper, and my form and speed (all things are relative) seem to be returning. The break from the long runs was needed. Some of the best news I’ve received in the past few days is that the trails, even at the highest altitude, are snow-free and passable. But there are plenty of “shoe-sucking mud bogs.” Since there have still been flurries on the mountain and the overnight lows have remained in the mid-30s, the lack of snow on the trails is really welcome news. We’ve rented a cabin less than a mile from the start of the race, which is a real plus from a logistical standpoint. I hope to get in a short run on Friday morning to test the trail and get a feel for the challenge. The race begins at 6 a.m. Mountain time on Saturday. If you’d like to track the results on your iPhone, look up “It’s Your Race” in the App Store or click on this link to go directly there. Or scan the QR code here to go straight to the site. For even quicker results, you can narrow it down to: 50M race, male, 50-59, Smidt. Here’s a link for the Android version of the official tracking app, via Google Play. Barb will post occasional updates to either her Facebook page or my Facebook page. I’ll let you know next week how it went. You can wish me well in the comments below. I could use all the support I can get. Ten years ago, I took up marathoning as a physical challenge. This year, as I celebrated my 50th birthday, I wanted to take that challenge to another level. And thus was born the idiotic idea of running a 50-mile race in my 50th year. Actually, everyone around me thought it was idiotic. I thought it was pretty cool. I liked the symmetry of the thing. And since, at heart, I’m a stubborn guy, I stuck with my idea. That stubbornness paid off when, after 15 1/2 hours on the trails on Saturday, I completed the Potawatomi Trail Run 50 in Pekin, Ill. (The race features 100- and 150-mile runs, too, but I’m not that crazy.) The race takes place in McNaughton Park, a large forest preserve on the edge of town, and features a 10-mile loop that I would have to complete 5 times. It was an amazing experience — definitely one of the most memorable events I’ve participated in. It started before the sun came up, and for me, it didn’t end until 2 hours after sunset. Barb and I pose before taking off on another lap. I’ve completed 30 miles at this point, and Barb is getting ready to pace me for her first lap. Along the way, I met a lot of neat people, runners and volunteers alike. And the support I received from friends and family made the difference in my completing the event. I got texts and messages from all kinds of people before, during and after the run. Knowing I had so many people pulling for me made it that much easier to finish the race. But I couldn’t have finished the race without the love and support of my wife, Barb. She planned on doing one lap with me — probably starting with mile 30. But she ended up doing two loops, and in the dark of night, her gentle encouragement and first-hand support was invaluable. Traditional road marathons and ultramarathons are so different that it’s hard to even compare the two. I’m sure some trail runs don’t have as many hills as this one, but I think many do. And the extreme ups and downs on the trails first strain your hamstrings and then shred your quads. And I’ve never stepped around roots, balance-beamed over a log or arrested my descent on a nearby tree during a road race. There are standouts in every sport. When I first took up marathoning, I was awed by the runners who could pound out 4:45 miles over and over again. I still am. At this weekend’s race, I watched another breed of outstanding athlete. I saw runners churn out 150 miles over the span of 48 hours, pausing for little more than one brief cat nap. (Mad props to Spencer Swearingen of Morton, Ill., the son of my colleague in Carthage, Joy Swearingen.) And I watched some young studs finish the 50-miler in just over 8 hours, 17 minutes. See this post for pre-race insights on the park and the trail. There’s a different vibe to the participants, the spectators and the organizers. I get the feeling that trail ultras attract the outdoorsy crowd. The parking lot was filled with Subarus and the finish chute was lined by tents — by necessity. Admittedly, this was a relatively small race, but most everyone seemed extremely friendly; slower runners would concede the trail to faster runners, and I never failed to hear a “Good job” from any of them. It just had a very collegial feel — except for the one bitchy runner who wanted everyone off “her” balance-beam log NOW. Oh, well, there’s one in every crowd. Blisters truly are the enemy. In the couple of dozen road races I’ve done, I’ve never had a serious problem with blisters. I battled a half dozen on Saturday. From my research, I knew blisters could/would be a problem. I taped my heels beforehand because I had gotten some blisters on training runs, and my heels stayed good the entire run. But I developed blisters on the ends of several toes and one on the ball of my right foot. Chicken soup is not only good for the soul; it’s good for the ultrarunner. Although the race featured a smorgasbord of foods – boiled potatoes, potato chips, GORP, licorice, Gummi worms, bacon, PB&J sandwiches, energy gels, oranges and on and on – nothing sounded very good after 30 miles. But a slightly warm Campbell’s chicken noodle soup hit the spot, and I ate a couple cups of that at the aid stations every 5 miles or so. The sodium and the broth proved to be a perfect elixir. I’m trying to figure out how I can adapt this to my road races. Click on any photo below to launch the photo gallery. Barb shot this photo of me starting the climb of Golf Hill in the Potawatomi Trail 50 mile run. I skipped the ropes the first two or three times through, but by laps 4 and and 5, the ropes seemed to help. Note to self: Wear a hat when someone’s shooting from above. Barb captured this shot of me in the middle of Golf Hill. Several runners can be seen on the crest of Golf Hill on the first lap of the 50 miler. This is the one creek crossing where it was impossible to keep your feet dry if you stuck right to the trail. But I went upstream about 30 yards and balance-beamed on a log, which kept my feet dry all day. I sat as long as I could before the 6 a.m. start. Several runners run down the trail in the first mile of the race before the sun comes up. This bridge crossing early in the loop was just one of several. Photo by Teisha Schindler. Organizers had almost every kind of snack food imaginable for runners. I battled blisters all day, starting here after the first lap. Crossing the timing mat after 20 miles. Crossing the timing mat at the start/finish area after 30 miles. Photo by Teisha Schindler. This field crossing came at about mile 8 in the loop. Although you were almost to the start/finish area, the last couple of miles seemed to stretch into 10 miles on their own. Barb and I pose with the mascot at Aid Station 2. Volunteers Max and Jane staffed the station, and their kind words the day before the race and all throughout the race made it much easier to finish the task. The Stairway to Heaven’s Gate comes at about the halfway point. Photo by Jen DeSalvo. Dog Walk Hill comes between the creek crossing and the halfway point. Photo by Jen DeSalvo. Barb and I pause for a photo after completing the race. I managed 50 miles, and Barb got in 20. MAGAZINE STREET BEADS: Click this image to see the Feb. 2013 photo gallery in the "Arts" page. RunIowa & MORE: Need a podcast to listen to while training? Click this logo for ideas. SPOTTED CAT: Click this image for a photo gallery of NOLA in the "Arts" page. BROOKLYN BRIDGE: Click this image to see a photo gallery of NYC in the "Arts" page. Run the remote and rugged Continental Divide National Scenic Trail in the Beaverhead Mountains dividing Idaho's Lemhi River Valley and Montana's Big Hole Valley. stuff, tunes and running shizzle.